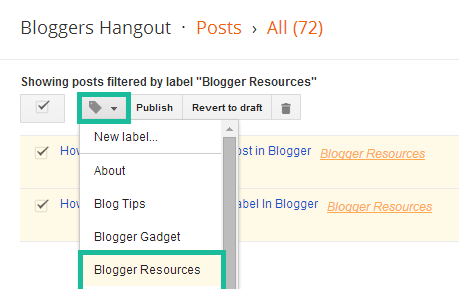 Go to your blog dashboard and click on Posts tab from the left sidebar. select the post for which you want to change the label of a post and check the checkbox corresponding to it. 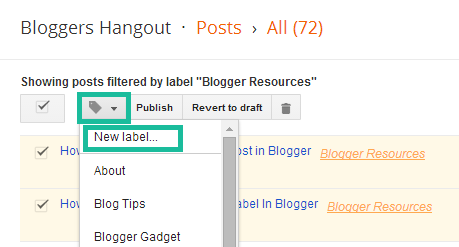 Then, click label icon and select "Blogger Resources" to remove the label from the post you have selected. 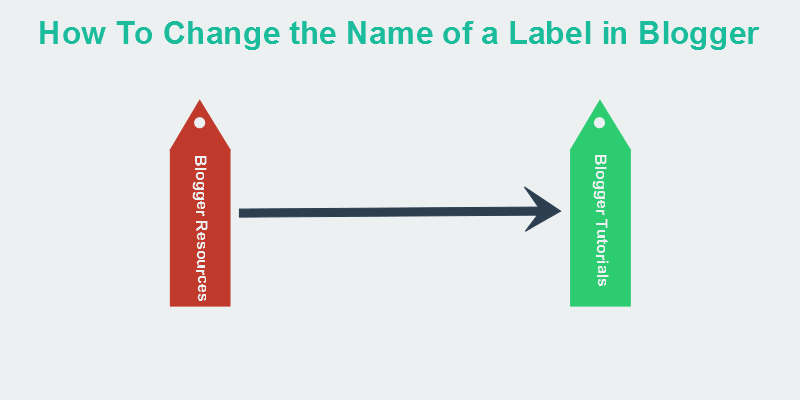 while the post is still selected, click the Label icon again and select "New Label". 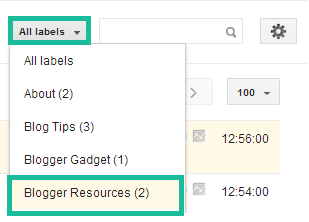 Then, type in "Blogger tutorials"
while the post are still selected, click the Label icon again and select "Add New Label". Then, type in "Blogger tutorials"
You are done! 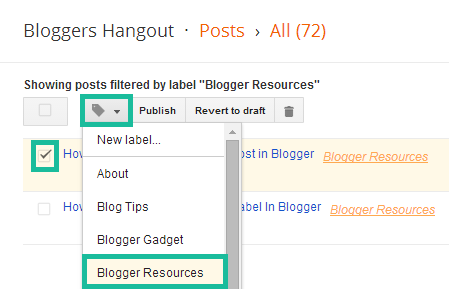 Now, the post that used to have the label blogger resources have the label blogger tutorials.